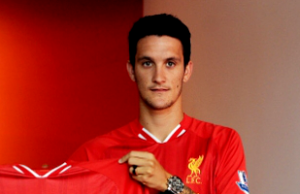 It has been confirmed that Liverpool have completed the signing of Spain youth international Luis Alberto from Sevilla. It is said that the 20-year-old has signed a long-term contract with the Anfield club after passing a medical, with the deal still subject to international clearance. Alberto, capped at several levels of youth football by Spain, spent last season on loan with Barcelona B, where he scored 11 goals and collected 17 assists in 38 appearances. “We are all delighted that Luis has decided to join Liverpool,” Reds manager Brendan Rodgers said. “He has the correct footballing profile and mentality to be a Liverpool player.